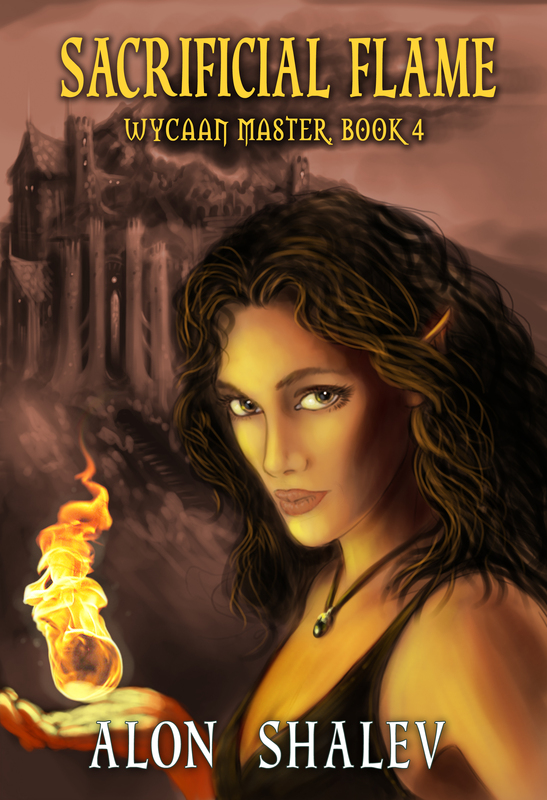 The Odessiyan Times recently caught up with Seanchai, Wycaan Master, shortly after the battle of Cliftean Pass, and he graciously agreed to the following interview, to be published shortly before the release of Sacrificial Flame – Wycaan Master Book 4. Reporter: There are some who say that only a few short years ago, you were a lost child running from your village. Now you’ve brought down the army that tried to conscript you. Is that how it feels? Seanchai: I was never a lost child, but a scared calhei who had fled his parent’s village in search of an uncle he had never met. Reporter: When did you first understand that you might be special, more than just the average elf? Seanchai: When strangers seemed to believe in me to the point that they were willing to sacrifice their lives for me. Reporter: That must have made you feel important. Seanchai: No! It made me furious and guilty. No one should give their life like that. There are hundreds, maybe thousands, of widows and orphans, because their parents chose to believe in me. Reporter: But at least they are free. Mhari was your first teacher. Was she the greatest influence on your early life? Seanchai: No, though she was and remains very important to me. But the greatest influence was Ilana and Rhoddan. They saw my potential but were never blinded by it. Perhaps because they saw my glaring faults as well. But they loved me, each in their own way, and I could never have done what I did without them. Reporter: Some say your loyalty to your friends was your biggest weakness. Seanchai: Your friends are never your weakness and neither is your family. I regret no time that I risked my life for one of them and they risked their lives for me. Their support is what makes it all so real. It gives you the determination to carry on. Reporter: It was your friends who motivated you to take action? Seanchai: No. It was destiny: Seeing the racism and injustice. No one, man, elf, dwarf, pictorian – no one should be a slave or denied the right to live free of fear or shame. Reporter: Was it easy to become a Wycaan? Seanchai: No. It is a lot of internal practice and discipline. It is allowing yourself to connect with powers purer and stronger than you. But perhaps it is easier to become a Wycaan than to stay one? Reporter: What do you mean? Seanchai: Once you are a Wycaan, everyone follows your orders even if you don’t know what you are doing, even though it might go wrong and sentence thousands to an early grave. You are sought to bless babies, cure the sick, and make judicial decisions. The worse part is that they never blame you when you fail. Reporter: How did it feel to know that your story won a national book award? Seanchai: I do not put as much emphasis on ego, such as shall we say, authors. But I guess if he hadn’t have written the story, I wouldn’t exist. Reporter: You don’t like your author? Seanchai: He killed off many of the people closest to me. Who does he think he is – George R.R. Martin? How could he? 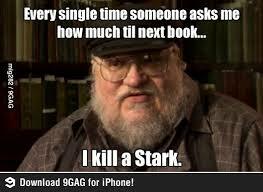 I mean: look what he did in Book 4. Reporter: What did he do? Seanchai: Oh, I can’t tell you. The book, Sacrificial Flame, is not out yet. Reporter: Still if you told me, I could leak it and we would make the front pages. Seanchai: You would truly make a terrible Wycaan. But you only need to wait for two more weeks or so. And if you want to find out more about the new release, click here LINK, even though we don’t have computers in the land of Odessiya. Reporter: Well that’s all we have time for, unless you wanna turn into a bear for the camera…Hey! I thought Wycaans don’t get angry. Help!! !